The expenses scandal, and later revelations about lavish gifts from the rich, have dealt a severe blow to Fillon's campaign. 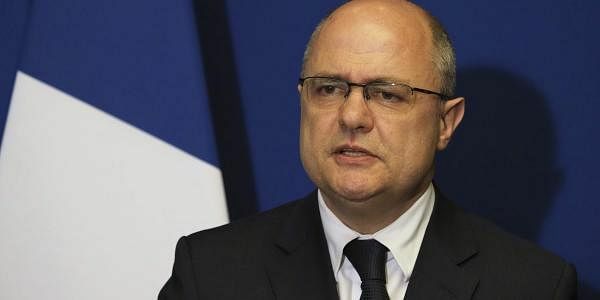 PARIS: French Interior Minister Bruno Le Roux resigned on Tuesday after revelations that he hired his two teenage daughters as parliamentary aides. Le Roux denied wrongdoing but said he did not want the investigation into the contracts -- for which his daughters earned a total of 55,000 euros ($59,500) as parliamentary aides -- to "undermine the work of the government". The allegations prompted comparisons with scandal-hit rightwing presidential hopeful Francois Fillon, who has been charged over claims he gave his wife and children parliamentary jobs paying hundreds of thousands of euros. Le Roux, 51, had been in the Socialist government just 106 days, having taken over the weighty portfolio when Bernard Cazeneuve was elevated to prime minister. The TMC channel reported late Monday that Le Roux's daughters were still in school when he first hired them, and they continued doing work for him -- paid with taxpayers' money -- when they were in university. Le Roux told TMC his daughters had worked for him during their summer holidays. Earlier Tuesday he was placed under preliminary investigation. Having entered the cabinet in December, he had faced his most serious crisis at the weekend when a man was shot dead at Paris's Orly airport after attacking a soldier. The writing was on the wall for Le Roux when Cazeneuve, without naming him, said earlier Tuesday that government officials must be "irreproachable". "Otherwise the authority of the state is weakened," Cazeneuve said at a Paris event. French lawmakers are allowed to hire family members as assistants, as long as they do real work. The issue has been brought into sharp focus with the scandal dubbed "Penelopegate" that has hit Fillon's presidential bid. Penelope Fillon and two of the couple's children are suspected of holding fake jobs as parliamentary aides for which they were paid around 900,000 euros in total. The conservative presidential candidate also insists he did no wrong, presenting the affair as an attempted "political assassination" and questioning the justice system's impartiality. In a clear reference to Fillon, Cazeneuve said Tuesday that public figures should not challenge the independence of the judiciary. The former prime minister sought to shift the focus to his cost-cutting platform in a debate on Monday among the top five presidential candidates. With one month to go before the first round of elections for a successor to the deeply unpopular Socialist President Francois Hollande -- who decided in December not to seek re-election -- the electorate is especially disillusioned. Only 17 percent of those questioned in an Ipsos poll last month gave high marks to France's democratic system. Far-right leader Marine Le Pen and centrist Emmanuel Macron are the two leading candidates in the election, according to opinion polls, with the first round due on April 23 and the run-off on May 7.